It’s been a week of incredible turmoil in America, unlike any other experienced under the leadership of President Donald Trump. Earlier this week, Trump had his State of the Union Address cancelled by House Speaker Nancy Pelosi. Earlier this morning, another close ally, Roger Stone, was arrested by the FBI. And this afternoon, he backed down on his hardline stance and agreed to re-open the government despite not receiving money to build a wall between the U.S. and Mexico. Trump said in a press conference today that he would sign a bill to re-open government temporarily, until Feb. 15. While the bill would not include money to build the wall, lawmakers would discuss alternatives to beefing up security between the two nations. 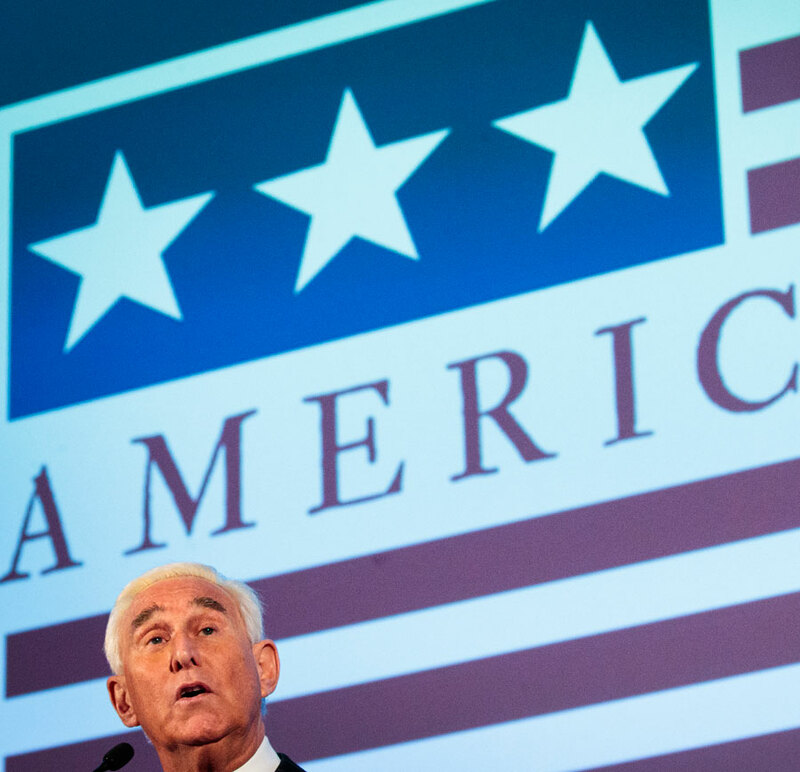 And early Friday morning – in another episode of the bizarre political soap-opera/reality show/mafia movie now playing in the U.S. – we watched the arrest of Roger Stone, another long-time Trump ally and advisor. In a dramatic pre-dawn raid by an FBI tactical team with heavy weapons (televised on CNN!) Stone was led away from his Florida home in handcuffs. He’s charged with obstruction, witness tampering and making false statements related to the release of stolen Democratic Party emails during the 2016 presidential campaign. That brings the total to six Trump accomplices (Paul Manafort, Rick Gates, Michael Flynn, George Papadopoulos and Michael Cohen are the others) who have been indicted on charges relating to Special Counsel Robert Mueller’s probe into Russia’s alleged interference in the 2016 election. The five others have all either pleaded guilty or been found guilty of the counts they’ve been charged with by Mueller. As many as 37 people in total have been charged, though many are Russian and will likely never be brought to trial. 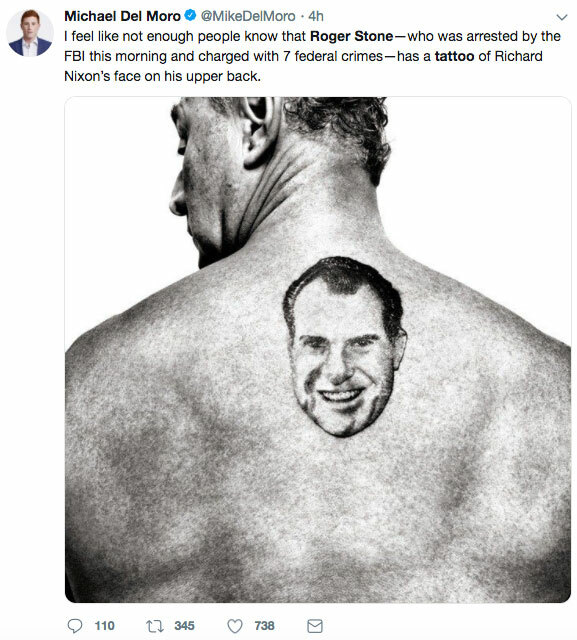 Stone, 66, has been a Republican hark-knuckle lobbyist and strategist since the days of President Richard Nixon (he even has a tattoo of RMN on his back) and is said to be the person who first suggested to Trump that he should run for President. Stone is charged with communicating with “Organization 1” (Wikileaks), a hacking group that received stolen emails from a Russian hacking group that had infiltrated Hilary Clinton’s campaign computers. Organization #1 released these to the public, information that was particularly damaging to the Clinton campaign in the lead up to the 2016 election. White House Press Secretary Sarah Sanders told CNN that Stone’s arrest has “nothing to do with the President, and certainly nothing to do with the White House.” Trump follow-up tweet was more of the same. Not yet, maybe. But this crazy show isn’t over yet. Not by a long-shot.